Sunday dawned very wet at Llangollen this year. Practice was slippery but by the time qualification came around the sun had reappeared and looked set to stay for the day. The parched track dried out quickly and Rachel declared it: "Improved actually, pretty damn good." With Gee and Kade both out of action this weekend, Rachel was first up for the team. She had a clean and fast run qualifying 2.1 seconds ahead of Tahnee Seagrave with Manon Carpenter in 3rd, over 8 seconds back. By the time the Men's Elite came on track it was blown out and altered from the morning's practice runs. Taylor was fast (5th through the speed trap) but had a messy run with his feet out more than once, he crossed the line in 2nd, eventually qualifying 16th in 2.10.664 (4.87 behind fastest qualifier, Sam Dale). As Rachel headed up the hill for the Women's Finals she was a little anxious that she wouldn't better her qualification run. Her nerves weren't improved by a small delay when a pony wandered onto the track. None of the other women riders matched Rachel's qualification run, but Rachel did, she put in a trademark clean run and was up by 3.57 seconds at split one. She crossed the line in 2.17.141 to take her fourth consecutive National Championships by a very healthy 5.432 seconds. Rachel said: "I'm stoked! 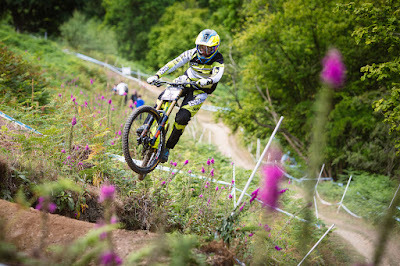 What an amazing weekend, the track was really good fun and i'm chuffed to win for the fourth time on the run. It's great that there are so many family and friends here today and I'm so proud to be representing Great Britain and getting to wear the GB sleeve for the rest of the season at World Cups." Times in the Men's Elite race were very tight on this short, steep course. 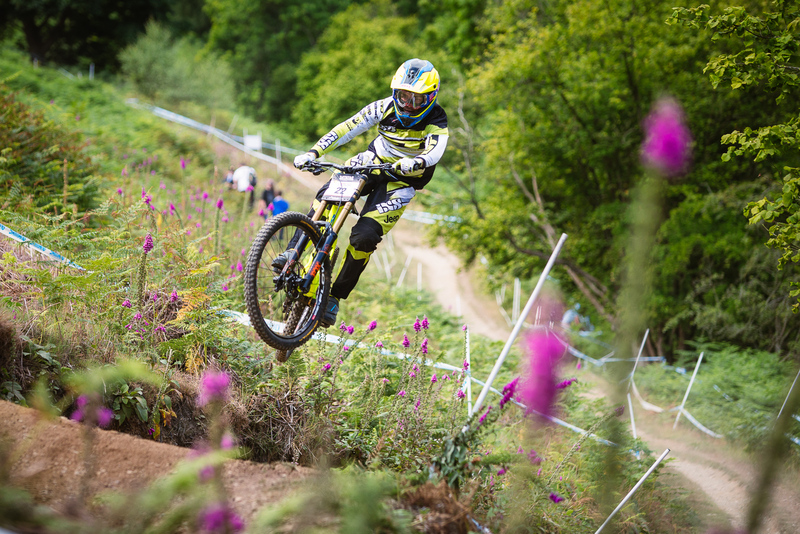 Second place qualifier Danny Hart took the win in 2.04.836 with Taylor in 14th place, just four seconds back. Taylor said: "I'm happy enough I guess because I had a clean run, but to be honest it's at the lower end of where I'd be happy! I did have a good clean run but it just wasn't fast enough, it's hard work this Elite!" 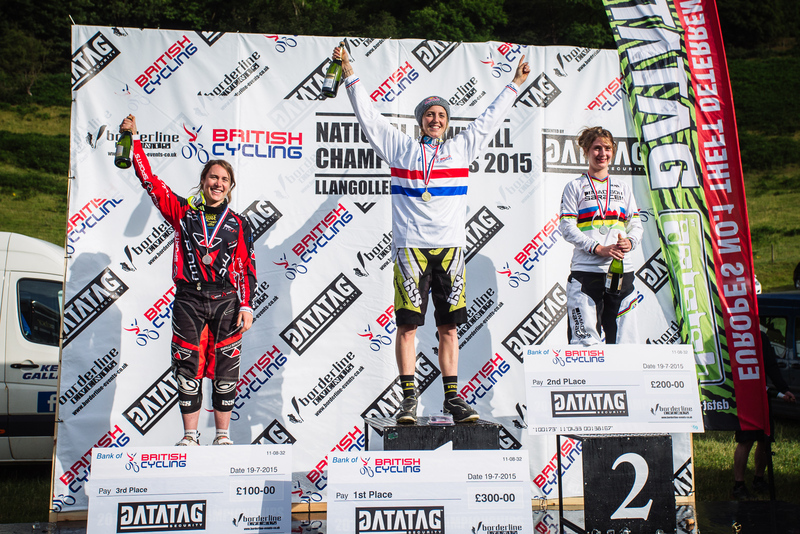 Rachel Atherton makes it a hat-trick!